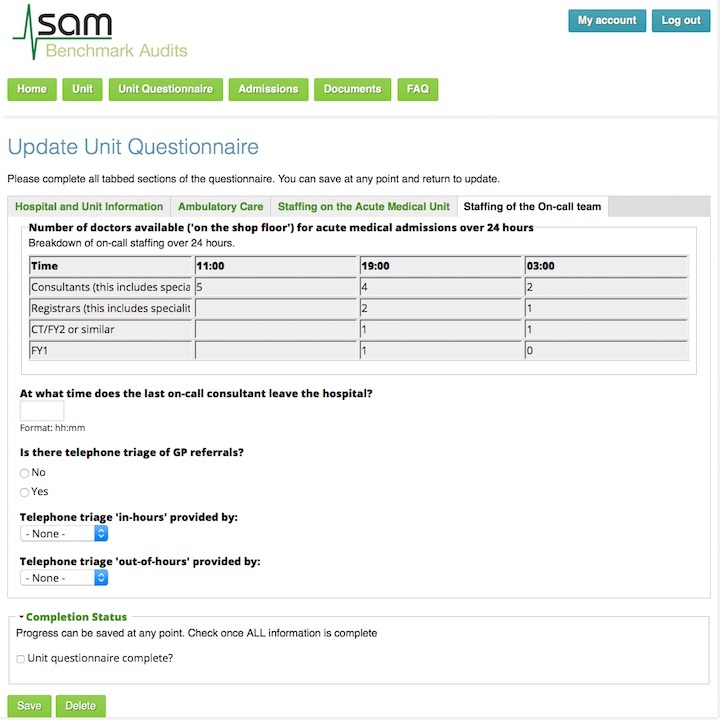 SAMBA is the Society for Acute Medicine’s annual benchmarking audit. 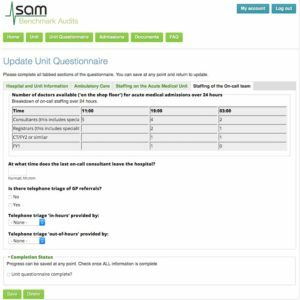 Acute Medical Units all around the UK participate in a data-gathering exercise surveying performance on a particular day of the year. The data is compiled into reports allowing each Unit to benchmark how well they’re doing; and for Units to identify and share best-practice. In 2016, SAMBA will be collecting data via an online data-entry website. The aim is to simplify the data-entry process through the use of standardised forms and field values; and reduce the time required to produce reports from the data. Providing some sort of look up mechanism to retrieve patient admission data without storing any patient identifiable information. This entailed building a custom record search using a one-way hash, encrypted using security best practice. Devising a flexible storage method for each audit, as the data entry forms (and thus the stored content types) vary from audit to audit. Building a custom data export function to export the data in the format and field order required.